Artspace111 announces the group exhibition Go Figure, paintings and prints by Artspace111 artists Michelle Brandley, Sarah Green, Nancy Lamb and Devon Nowlin. This all female group focuses on different aspects of the figure. Each artist examines the exterior shell we wear, be it the one we are born with or the one we carefully create. Michelle Brandley, a recent MFA grad from TCU, focuses on the parts. Sensuous legs, lips and other fleshy parts are juxtaposed with elephants and icons from the 1958 movie Attack of the 50 Foot Woman. 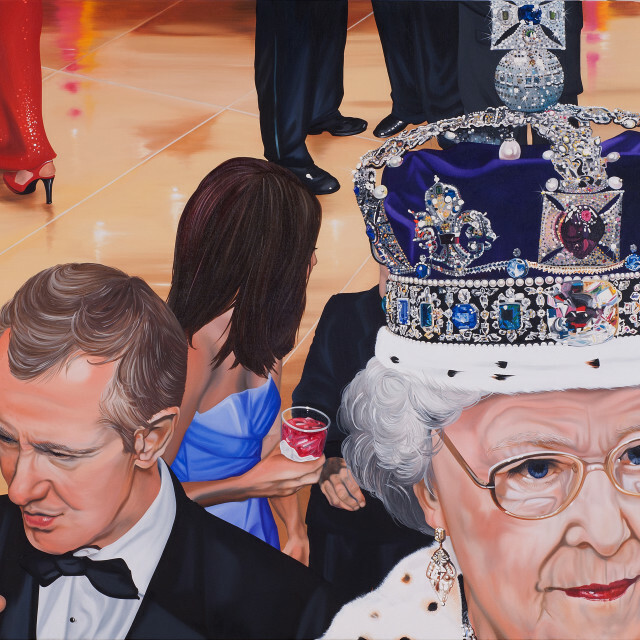 Her oil paintings examine body image and false self-perception. Sarah Green’s figures are famous. She digitally paints her celebrities in vivid colors surrounded by a fantasy. Whimsy and humor are woven into her prints as she pays homage to the icon. 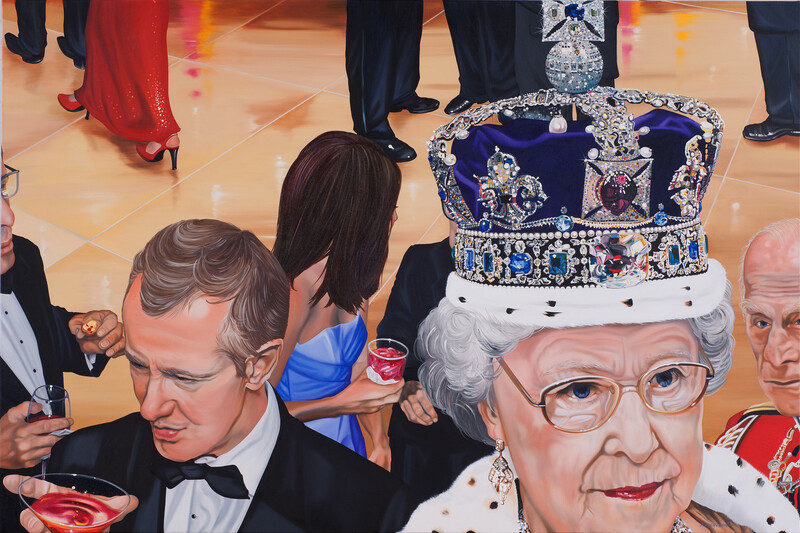 Nancy Lamb is known for her glittering depictions of the reveling elite letting their hair down. Lamb paints from photos taken at an overhead angle to produce a perspective that not so much invites as catapults the viewer into the festivities. She has a keen eye for texture and her figures are so heavily modeled and sculptural that the viewer is nothing but transfixed. Devon Nowlin’s paintings depict figures through facets of relationships, specifically the relationship between people and their environment. There is a cinematic quality to her paintings; elements and figures within the frame are fragmented as if seeing different images superimposed. The exhibit will be on show beginning Friday, February 1, 2013 from 6 - 8 p.m. and will run through March 16, 2013. Enjoy beer and wine by Ben E Keith. Artspace111 is free and open to the public.